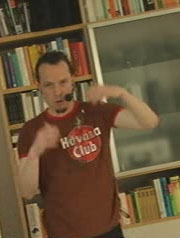 Sometime in March or April of 2009, Matt Stevens announced a virtual concert on LD: Matt was sitting at home, and using a webcam and a computer, streaming his performance to a free-of-charge video streaming portal. It only took Rainer Straschill so long to see the potential in this, and so, starting in April, he established a series of bi-weekly concerts entitled The MoinSound Studio Sessions which a crazy fanbase has been following ever since. This album documents highlights and the artist's odd picks from nearly ten hours of recorded music. 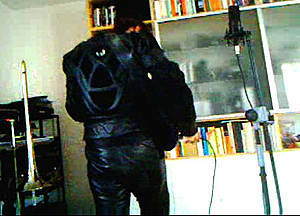 Back to the Studio - but live! 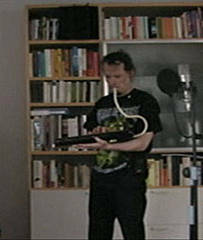 While on the tour, the limitations were turned into a benefit as Straschill limited himself to using trombone and computer (and vocal noises), the MSSS surroundings made available the whole range of stuff stored at home - which in the case of the documented sessions included recorder, soprano sax, found sound percussion, synthesizers, noise electronics, acoustic and electric guitars and bass guitars - and of course again trombone, computer (and vocal noises). Musically, not too much did change - or so it seems. There's still the signature komische Elektronik, focusing on odd delay loops (or, as a mathematician would put it, strange loops). Freely improvised material is still the message, but even with this "business as usual" approach, the result is different considerably from the past releases. Straschill has definitely left the 4/4 dance grooves of Weird Specialist behind for good, but not without making the occasional nod in their general direction. 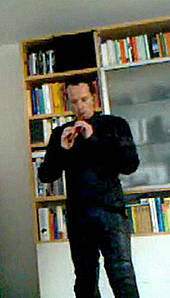 The use of guitar loops finds an approach more oriented towards the "turntablist guitar" of the granular looping work of LaFosse and Willers. Above all that, there's an increasingly complex harmonic and polyphonic work seldomly found in freely improvised material. "I've been listening to a lot of contemporary classical material as of late", Straschill recalls, "and with the serialist revival of Bach's composition techniques, it's no wonder that it shows, if only a little". Engineering Note: This stuff's dynamic! The last album, Wie groß ist die Luft?, did already come with that "engineering note to the casual listener". The technical basics do still apply here, but the data has changed. On the MSSS Album, the microdynamic ratio goes up to 5:1 with the macrodynamic ratio (loud vs. quiet passages) extending above 16:1. Given that those figures are on par (or even exceeding) those of the last album, we duly recommend sticking to the listening recommendations posted there. There's more however: due to the use of lots of electronic modifications, varispeed effects and low-register instruments, a lot of energy happens in the range below 80Hz - in other words, in a frequency range that a lot of systems may not reproduce properly. If you don't have access to that good system (actually, a pair of high-quality headphones will also do), increasing the "bass" setting on your amplifier may be desirable. The artist portrait contained on the cover art was photographed by M333l. The artist also likes to thank all those followers who, for nearly nine months, have been tuning in dutifully every other Saturday and listening to whatever happened.